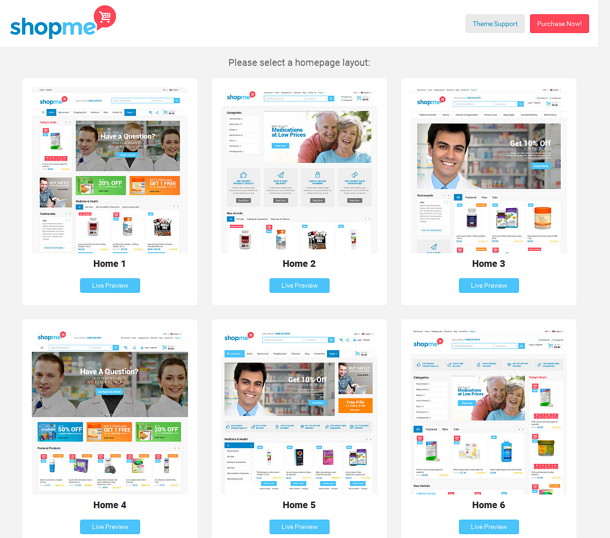 ShopMe is a clean, beautifully design eCommerce WordPress Theme from one side and powerful, flexible back-end from other side. Due to its versatility it can perfectly suit to any type of online store. 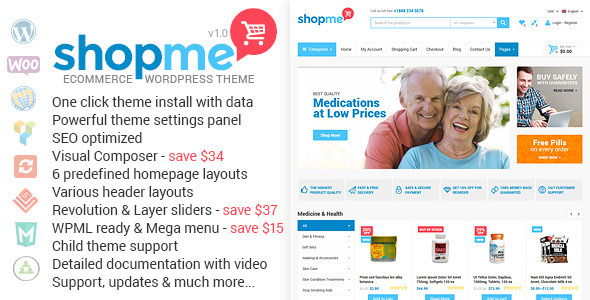 The theme includes all needed eCommerce features for building of a powerful online store such as powerful theme options panel, sliders Revolution and Layer, deals of the day, Visual Composer, quick view, 6 homepage layouts, cookie control, unlimited product blocks, 6 header layouts, etc. Item Reviewed: Clean and beautifully design eCommerce WordPress Theme 9 out of 10 based on 10 ratings. 9 user reviews.